> Leggi questo articolo in italiano qui. 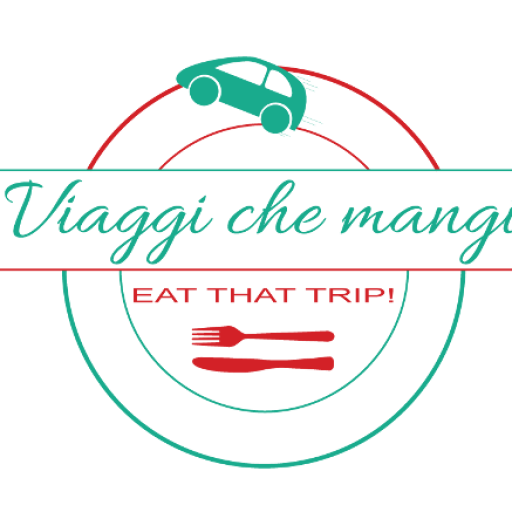 Today we are going to talk with Giusy, blogger of Just Take Me Away. She is going to tell us about Madison, the capital of the State of Wisconsin. Madison, the Capital of Wisconsin. How would you describe Madiosn to someone who has never been there? Madison is not the location people think of when they are planning a trip. Too cold and not enough interesting – are the most common words I have been heard from outsiders when talking about Madison. As far the cold, well, when the temperature hits 27 degrees below zero, I cannot really argue with that. However, once you get used to it, you start enjoy more what surrounds you. So, I guess “surprising” is the most appropriate term that answer to your question. What is your favourite place in Madiosn? My favorite place in Madison is the “Memorial Union Terrace“. A huge open space with lake-view that in summer becomes the gathering place for whoever wants to enjoy a cold beer and some cheese curds (Wisconsin’s favorite) waiting for the sun the sets down. What is the one thing you think can’t be missed when you are visiting Madison, the Capital of Wisconsin? A tour of the State Capitol. The majestic Roman Renaissance-style State Capitol has the only granite dome in the U.S. and inside has over 40 different types of stone from around the world as well as murals and handmade furniture. The observation deck, then, offers gorgeous views of the city and the surrounding lakes – especially in fall, when the leaves of the trees start changing their colors. What is your favourite thing to do in Madiosn when you have some time off? I like to go for a hike. Picnic point is one of my favorite trails in Madison. A long walk, some fresh air and an amazing view of the Mendota Lake – nothing better to spend a nice Sunday outdoors. Picnic Point © Giusy Clementi. My favorite restaurant is an Italian place called Porta Alba. I am not a fan of American food or any other cuisine – even if I enjoy trying something new once in a while. I am Italian and I love the food from my country. There are tons of places in Madison which claims to be authentic Italian restaurant but, the truth is that, so far, just Porta Alba gives me a little taste of home. What is your favourite cheap restaurant for a quick lunch or a snack? State street, the main street of the city, offers several choices as far cheap lunches. There are several cafes, usually frequented by college students, where you can stop by for a coffee and some fresh bakery or just for little snacks. What’s your favourite place to have a beer or a cocktail in Madison? In summer, of course, a beer at the Union Memorial Terrace is a must-do. For a cocktail you want to go to Fresco – from its rooftop you can enjoy an amazing view of the city while sipping your own drink. In winter, The Merchant by the capitol square is the place you want to go for something fancy. For something more casual I will suggest Hopcat or any other bar on State street. There are really so many to choose from. Tramonto dalla Union Terrace © Giusy Clementi. What do you recommend doing on a rainy day? I will start with some shopping at the West Towne Mall and then end up with a warm Mocha or even a happy hour at Barrique’s. What do you recommend doing for free in Madison, the Capital of Wisconsin? As I said above, a visit to the State Capitol is absolutely not to be missed. Taking a tour is the best way to experience the history, the art and the architecture of the City Capitol. Free tours are offered and are also highly recommended to have access to rooms that otherwise would be closed on a DIY tour. Wisconsin State Capital, © Giusy Clementi. Is there one thing not many people know about Madison you would like to tell us? The capitol building, the state capitol dome is the second tallest in the nation. The tallest is, you guessed it, the nation’s capital dome in Washington, DC. Dane County Farmers’ Market on the Square is the largest producer-only Farmers’ Market in the country and boasts more than 300 vendors. Thank you Giusy for showing us Madison through your eyes. To know more about Giusy follow her on Facebook or read her travel adventures around the USA on her blog “Just_take__me__away“. 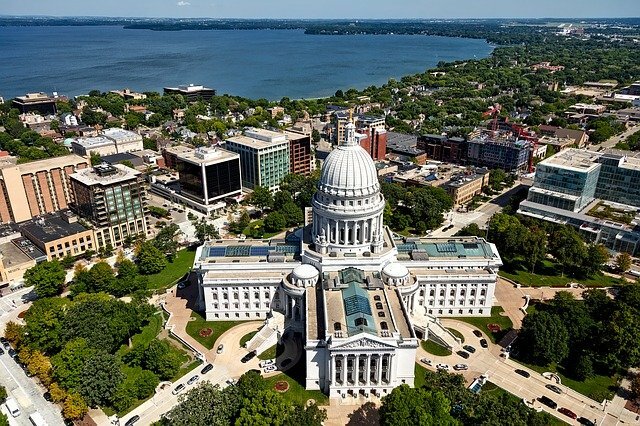 This was Madison, the Capital of Wisconsin by a local, if you liked it you will find more interviews on #USAByALocal every last day of the month!